This is the first in a new monthly “Ask the Vet” segment for Medical Mondays. 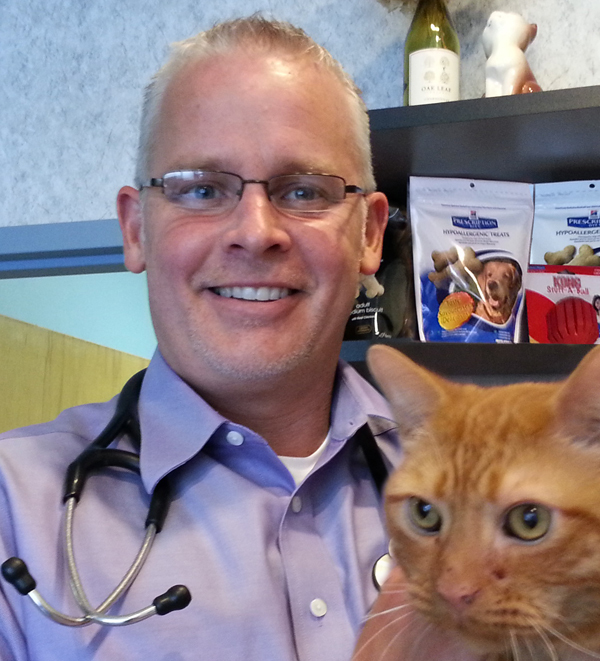 We’d like you to meet Dr. Richard Eberhardy of Leawood Plaza Animal Hospital here in Kansas City. Allie and the boys are under his expert care, and it’s thanks to his tireless efforts that Maxwell is now a healthy, energetic 2 year old! Since October is National Breast Cancer Awareness month, we thought we’d ask Dr. Eberhardy if this was an issue in animals as well. He informed us that yes, both dogs and cats can get breast cancer (and we learned it's usually referred to as mammary neoplasia). With dogs, he said, a good percentage of the tumors are benign. Not so with cats. Dogs have about a 50-50 chance it's not cancer. In cats, there's an 80-90% likelihood that it is cancerous. In both dogs and cats, there’s a strong correlation between hormones and cancer. "What does that mean?" we asked. It means that you can significantly lower the risk of breast cancer in dogs if they are spayed before their first heat cycle. Studies are a bit more vague with cats, but they also seem to indicate that risks are lowered if the cat is spayed early - before her first birthday. Statistically, dogs have the advantage over cats when it comes to this disease. 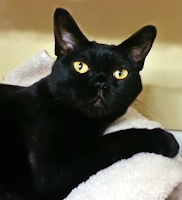 Dr. E told us that, although they tend to have a lot more lumps and bumps all over their bodies than cats do, a great number of these are cancer-free. And when tests do come back showing cancer is present, he said, dogs can often be treated successfully with a less invasive surgery than cats require. For dogs, it can often be treated like a 'lumpectomy'. Cats, on the other hand, often need more radical surgical procedures, requiring a larger section of the chest to be removed to ensure the tumor is gone. Since more than half the cats diagnosed with the feline form of breast cancer will have additional tumors pop up in other locations, they could require follow-up surgery, as well. Sadly, when you're dealing with breast cancer in dogs and cats, the question isn't "can they be cured" but "how long can we keep it from coming back". 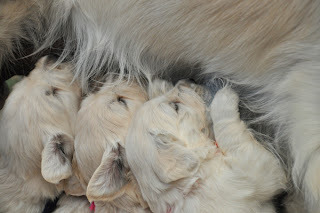 A lot of that depends on the pet parent – and early detection plays an important role. In cats, if a mass is found before it grows beyond 2 centimeters, the median survival rate is 3 years. If the mass has grown to 3 centimeters or more, that survival drops to 6 months. So, just as in humans, early detection is critical to your pet’s survival. This is especially important if you adopted an older dog or cat from a shelter who may have been spayed long after her first birthday. In Allie’s case, Wayside Waifs estimates she was just about a year old when she found her way to the shelter, so she may be less at risk than an older cat. But still. It never hurts to remember to check from time to time. So the next time you’re sitting on the sofa with a kitty in your lap (or in Allie's case, if a certain kitty sneaks in a cuddle at the keyboard), be sure to check. And if you feel a lump or a bump, make an appointment to see your vet immediately. We never thought about pets as well as humans. Thanks for this post. Have a lovely Monday. Thanks for the advice. I learned that when cats get breast cancer, it's a lot more complicated than in dogs. Early detection is indeed important. 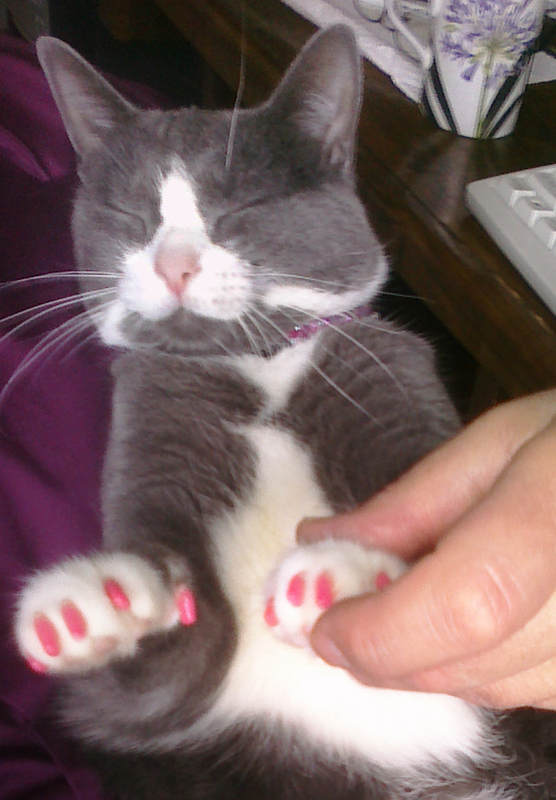 Somekitty my human met, Pinky from the Rock Cats, died of breast cancer this year. Thanks so much for this post to raise awareness! oh that's so awful! Purrs to Pinky's human.... We sure learned a lot when researching this, and were happy we could pass it along. Thanks for another really great post! Yet another good reason to spay and neuter. My angel sister Pixie had a lump in one of her mammary glands that was removed and biopsied. We were very, very lucky that it was not cancerous. My sweet Kirin died of breast cancer. Great advice. This is so important...we only recently learned how this can so dangerously affect our kitties. Thanks for sharing the info. This looks like it's going to be a great weekly segment! Thanks for sharing. I have helped treat many animal patients with mammary tumors, not limited to cats and dogs. My own cat had breast cancer. We found the lump last Christmas. She needed a full mastectomy, which I could not afford. I let her live out the rest of her kitty days doing what she pleased. She passed away last month.